The 1 NIKKOR 10-30mm is one of the lenses in the new 1 NIKKOR lens lineup that was introduced alongside the Nikon V1 and J1. Nikon J1 plus 10-30mm VR 1 NIKKOR — Full-resolution test photos at Impress. 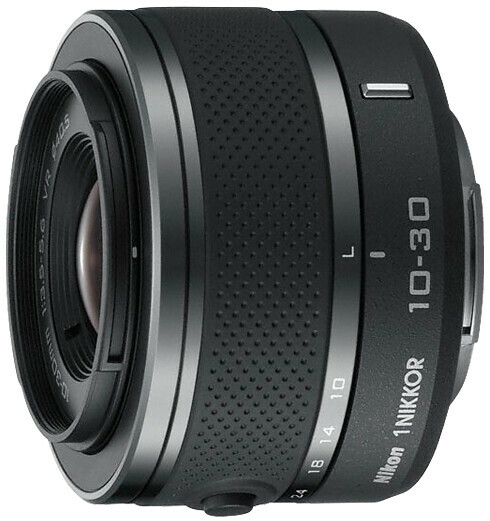 Update the firmware of your 10-30mm lens to 1.02. Instructions for the firmware upgrade is posted at Nikon USA. Official Nikon 10-30mm VR page at Nikon Imaging and Nikon USA.